The Alaskan malamute breed is a rather large dog that can weigh up to 90 pounds, and measure up to 25 inches in height. They have a thick gray, black or white coat, and are best known as working dogs, pulling sleds in Alaska. Their ideal habitat consists of cool climates where they can keep them cool, even in the heat of summer. These dogs have a shiny and coarse outer coat, and a soft inner coat, which almost feels like wool, specially designed for living in cold weather. In the event that you are caring for an Alaskan Malamute in warmer climates, you should make sure to provide a place in the shade with plenty of water available at all times. The coats on an Alaskan malamute come in various shades of grey, black, white, and even red. Specimens, who show mixed colors, will predominantly be white on the extremities. 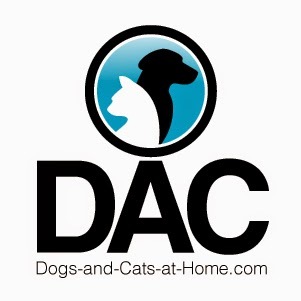 The American Kennel Commission only accepts white as a solid color. These dogs show a high degree of independence and loyalty. They show a lot of energy as puppies and mellow down a little as years go by. They will chew on anything they can find, dig a hole wherever they please and play dog games all day. If you don’t want it destroyed, better hide it from them. They make a bad choice for an apartment dog or even the pet for a small home. In houses with limited space, the owner will need to take precautions with the fence in order to prevent him from escaping. This breed loves the outdoors and playing games, they would be especially good for older children until they mellow down a little bit. Malamutes which are trained, and given some sort social behavior classes will handle themselves well among other animals, and even work together with them. However, if left up to their own instincts, they can turn aggressive towards other animals and consider small ones as prey to be devoured and eaten. For families living in cold and snowy weather conditions, such as the Eskimo tribes in Alaska, these dogs are of crucial importance for their survival. It is important for aspiring pet owners to consider the design of this dog before opting for him as a pet. The two different coats in the dog’s fur are not made for aesthetic purposes, but rather to provide a lot of warmth in an otherwise inhospitable environment. Getting this dog as a pet, and condemning him to live in the warmer regions near the equator, would only become a permanent form of torture to a dog not equipped to live in such conditions. In other words, it would be like leaving a fish in the sands of the dessert. The breed dates back over 2000 years and is a native of Alaska. They were originally used as sled dogs by the Alaskan Malamute Eskimo tribe. In addition to a companion dog, the Alaskan Malamutes are still used as sled dogs for racing, exploration, and families living in arctic regions. As hardworking sled dogs, they are important household pets for families living in cold, snow-covered areas and imperative to their way of life. If you are looking for an independent but loving companion, the Alaskan Malamute is a perfect dog for you. 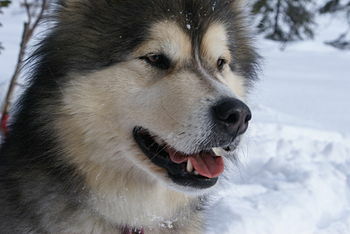 The Alaskan Malamute is the largest of the Arctic dogs. The head should be wide, with good erect ears. It looks similar to the wolf but has a sweeter look. The eyes are medium and dark in color is desired. 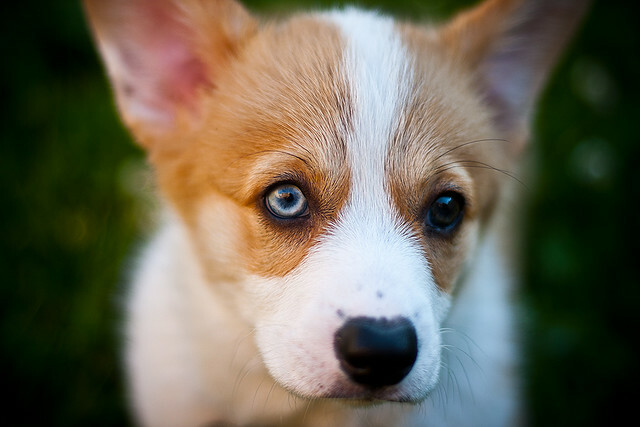 White or blue eyes are considered being a fault and are not desirable by the written standards. It should have large feet, with thick pads. Thick double coat of fur, that is about three inches long. Colours come in a range of grey's sable or red. Within the coloring should be shadings. Here you can have wolf grey, black and white, red or sable to red. The only nonshaded color allowed is white. The dog nearly always has white legs. The standard sizes can vary. History: The Alaskan Malamute dog is descendent from the arctic wolf. First used as a working dog some 3000 years ago. This is a Nordic sledge dog, which comes from the Mahlemuts. This is a tribe who raised these dogs and where the name comes from. These dogs have been used for a long time as sledge pullers and can pull large weights over great distances. 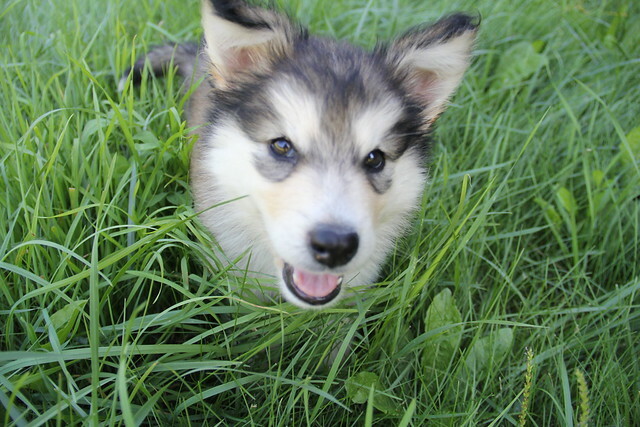 Temperament: With the Alaskan Malamute dog you will find a loyal dog with intelligence. They can be very loving to their owner. This breed is good with older children, but you need to teach the child what is acceptable play for this dog. With the right handling, this dog can mature to a fine dog. This dog needs firm handling and a clear leader of their pack, which must be the owner. They need companionship, daily mental stimulation, and physical exercise to get the best from this breed. Feeding can be an issue, and you need to watch the size of meals as they can eat more than they need. The Alaskan needs good supervision around small animals and other dogs as it has got a strong prey instinct. This dog benefits from obedience training, and it is highly recommended. If you do not train this dog well you could have a lot of problems, as if they get bored, they can do a lot of damage in a short time. Health issues: The Alaskan Malamute dog can suffer from bloat, this can be very serious and not be taken as just a bit of wind. They can have hip dysplasia which should be checked before they are sold. Another thing this breed can get is dwarfism called chondrodysplasia. Grooming: The grooming of the Alaskan Malamute is relatively easy, and the breed only requires brushing twice weekly. When it sheds it is very heavy shedding, with the undercoat coming out in clumps. Bathing is not needed, as dirt will come off in the shedding. While this dog doesn't need bathing it is not smelly but clean and smells fine. You can use dry shampoo if you so desire but only occasionally. Living conditions: With the Alaskan Malamute we have a dog that can happily live outside but will wish for the company of the owner. Due to the fact this is an active dog, apartment living is not recommended. They will need at least a good size garden, with high well made fencing. Think about the fact this dog can dig, and will do so, there for some form of an underground fence can be needed. Here we have a dog that can cope well in cold weather but in the warm weather, you will need to offer good shading and clean cool water to drink.